http://maientertainmentlaw.com/?search=levitra-discount The farmers markets and roadside farm stands are brimming with luscious red jewels right now- fresh, sun-ripened strawberries. 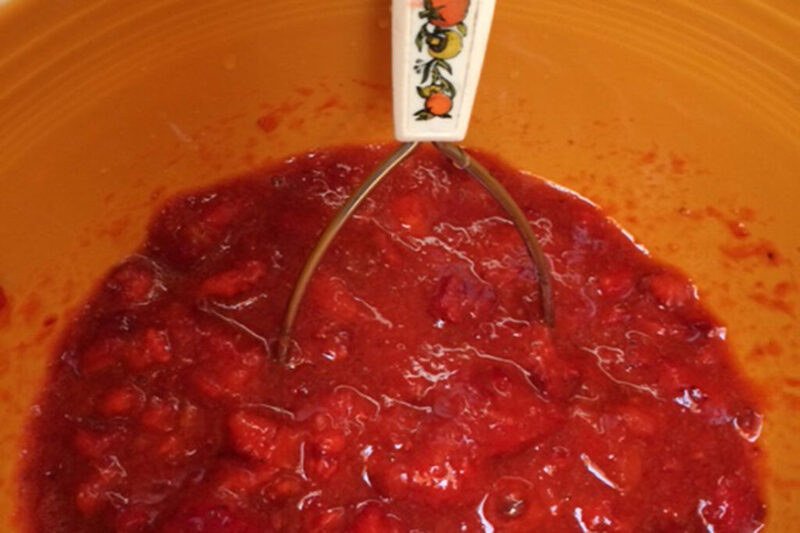 Whether you go out to the country and U-pick, or just grab a pre-picked flat or a couple pints, you can easily take a small part of your afternoon and put up some easy-to-make delicious jam to enjoy through the year! http://cinziamazzamakeup.com/?x=comprare-vardenafil-senza-ricetta-consegna-rapida First thing you’ll need after you acquire your strawberries is a recipe. 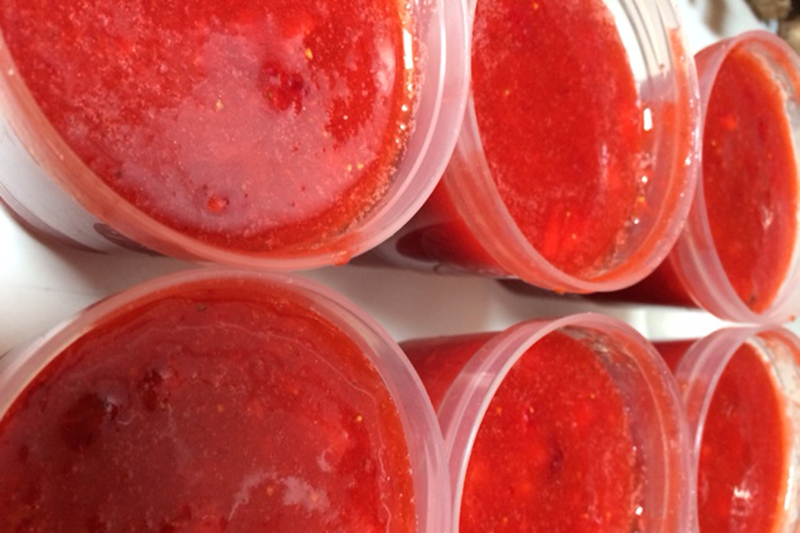 To start out with, both Pomona’s jam (great for reducing the amount of sugar to your liking) or Ball Freezer Jam pectin will have easy instructions for freezer jams, and you can tweak the amounts up to a certain point to get as many containers as you desire. 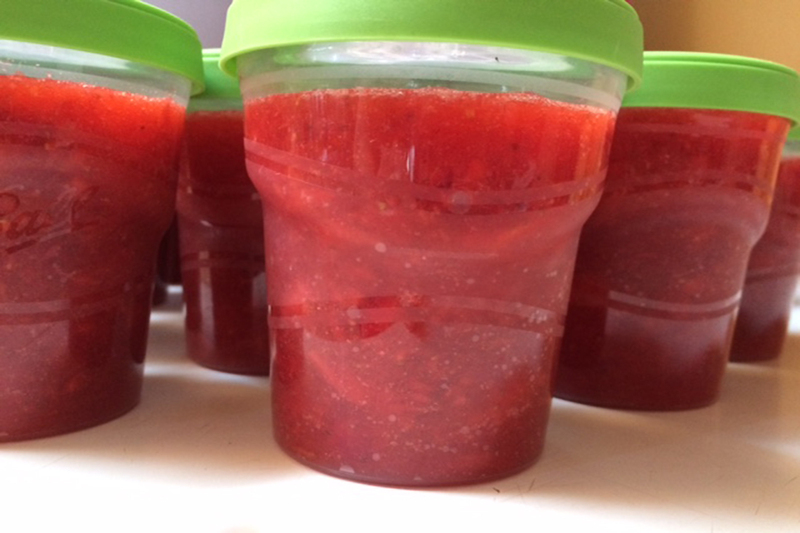 This particular basic picture tutorial used an entire flat of strawberries (mostly seconds due to prior rainy weather before they were picked) sugar, and Ball freezer pectin to produce several batches of freezer jam, totaling a whopping 23 half pints of sweet, tart, strawberry deliciousness. 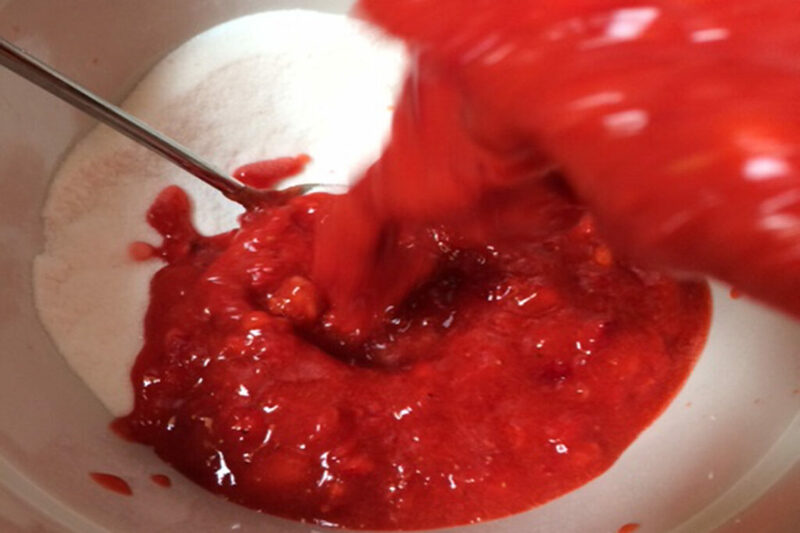 go to site One of the most valuable tools you’ll want at hand when dealing with strawberries in any quantity is a strawberry huller. 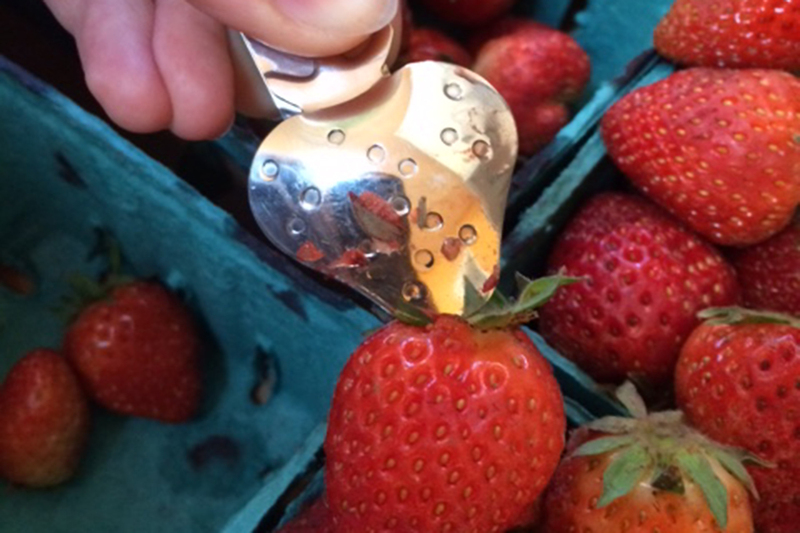 It may seem like a silly tool at first, but after you’ve developed sore fingertips (not joking) from pulling the stems and hulls from literally hundreds of strawberries, spending a few dollars on an invaluable and simple tool will soon make the benefits apparent in the years of jamming or fresh eating to come. dove acquistare viagra generico 50 mg a Firenze acquistare viagra generico 200 mg pagamento online a Firenze STEP ONE: Wash your strawberries, then hull and let them drain in a colander. 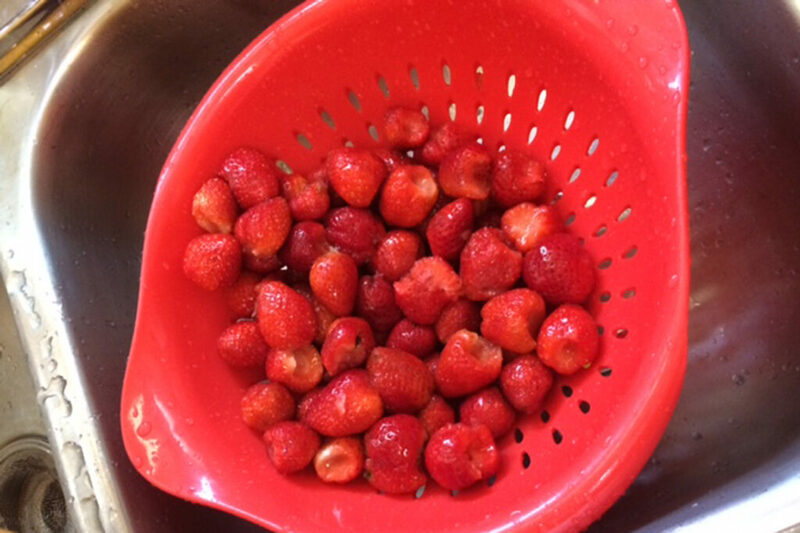 Place a layer of these strawberries in a large bowl and smash them with a potato masher until it is a squishy mess. 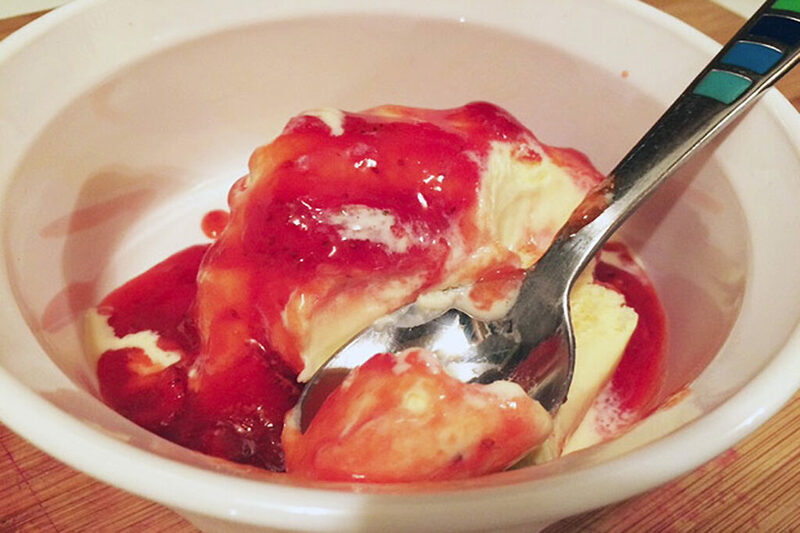 Repeat this until you have a big sloppy bowl of mashed strawberries. I should add that I find an apron very helpful in avoiding stains on your clothes. The mashing and mixing process can get fairly sloppy. 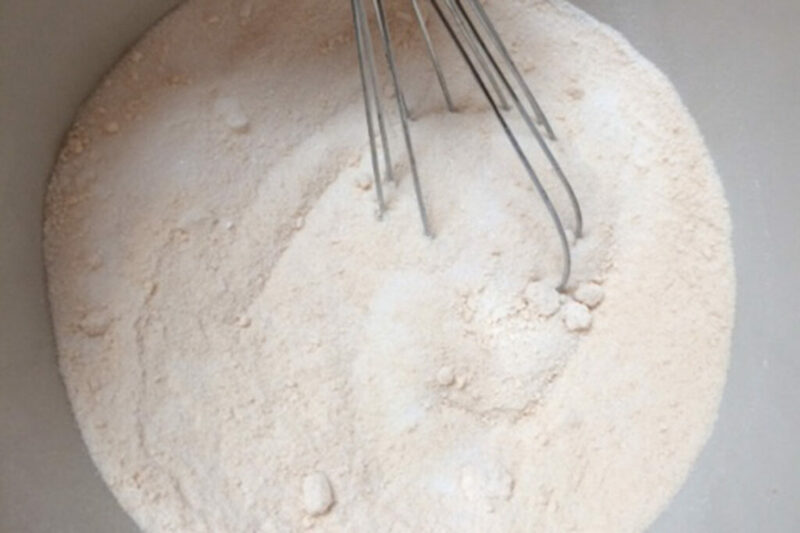 http://maientertainmentlaw.com/?search=is-canadian-propecia-prescription-drug STEP TWO: In a separate medium-sized bowl, mix the pectin and sugar together well, making sure not to breathe any of the “dust” that can rise up out of the bowl. 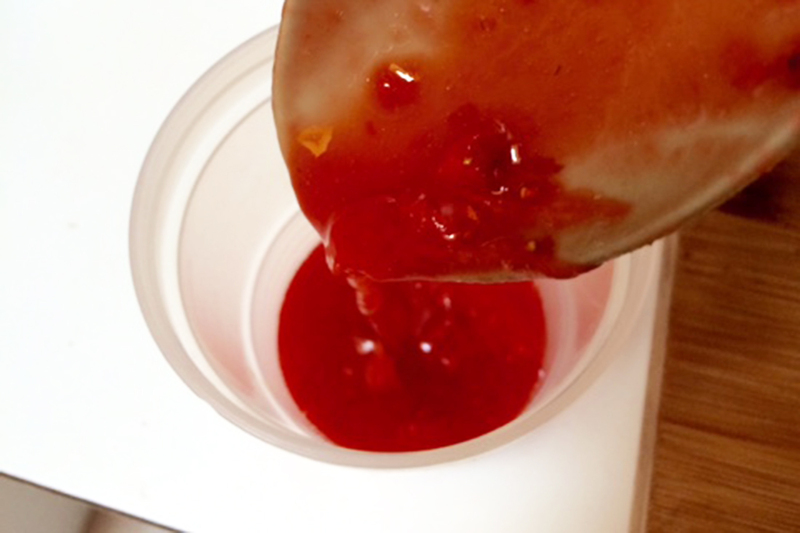 From experience I can tell you… pectin is not kind to the sinuses. 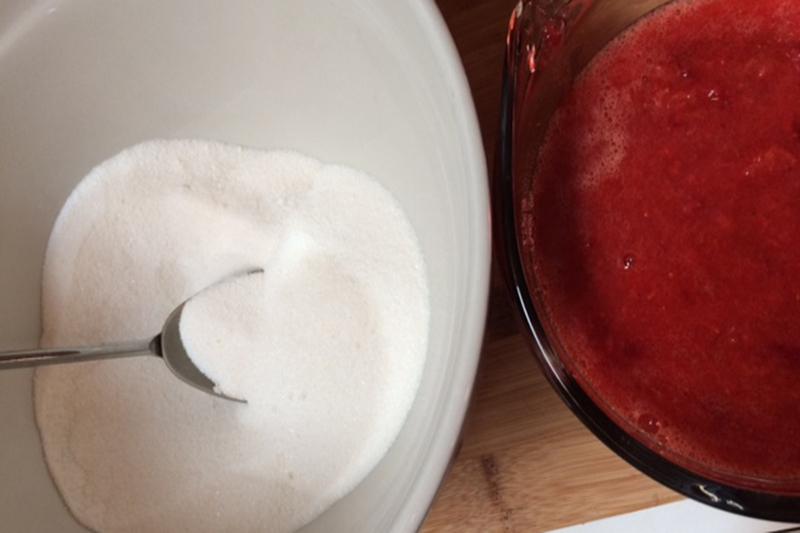 Measure the proper amount of prepared strawberries per your chosen recipe, then pour it into your sugar/pectin blend. 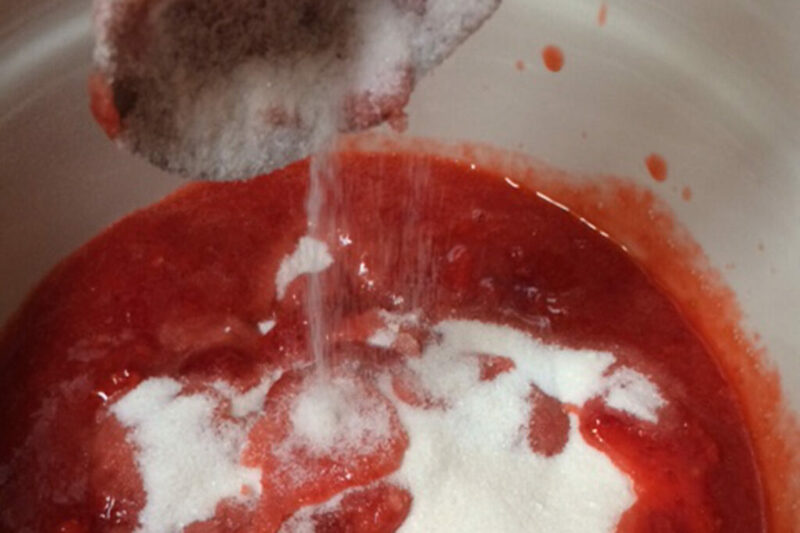 http://cinziamazzamakeup.com/?x=quanto-costa-il-vardenafil-generico-online STEP THREE: Stir the pectin mixture and strawberries for several minutes until it is completely combined. 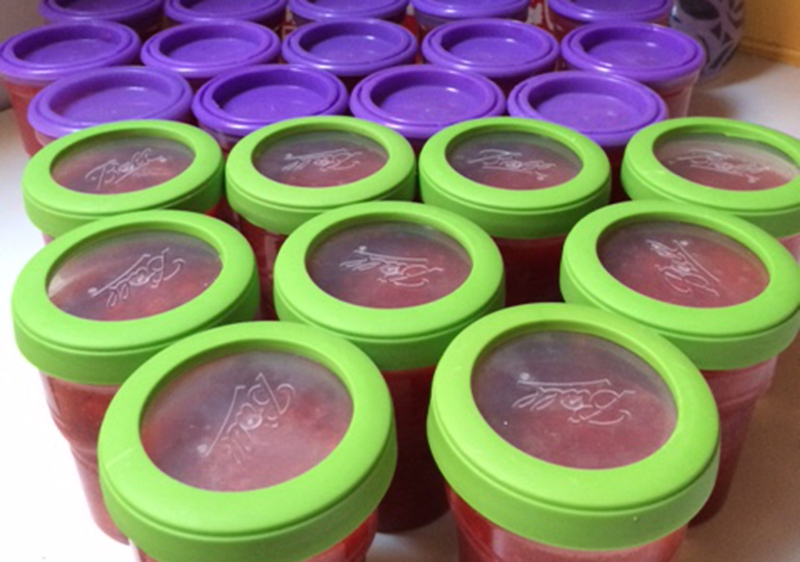 Carefully spoon the mixture into clean freezer jars (pictured are the plastic 1/2 pint Ball freezer jars, but alternatively, you can use any straight sided glass canning jar, provided you give it adequate headspace for expansion). source site STEP FOUR: Place a clean lid on your freezer jar, and wipe off any jam off that may have dribbled down the sides. Using canning labels or marking a piece of masking tape to attach your containers works well. Be sure to write down the contents and the date it was made. Eat your freezer jam within a year of freezing. (This probably won’t be difficult.) 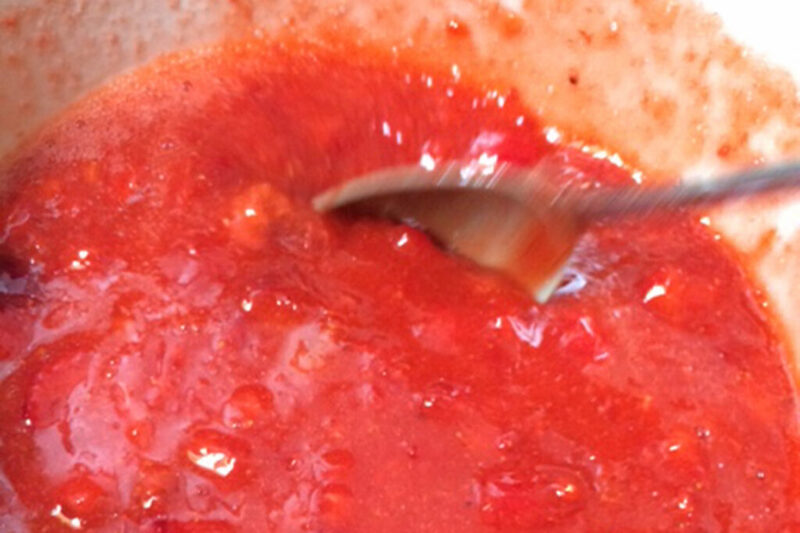 Refrigerate, and eat your jam within about week after it is thawed.